The local vendors that we carry in our shop are what makes it the place you know and love! 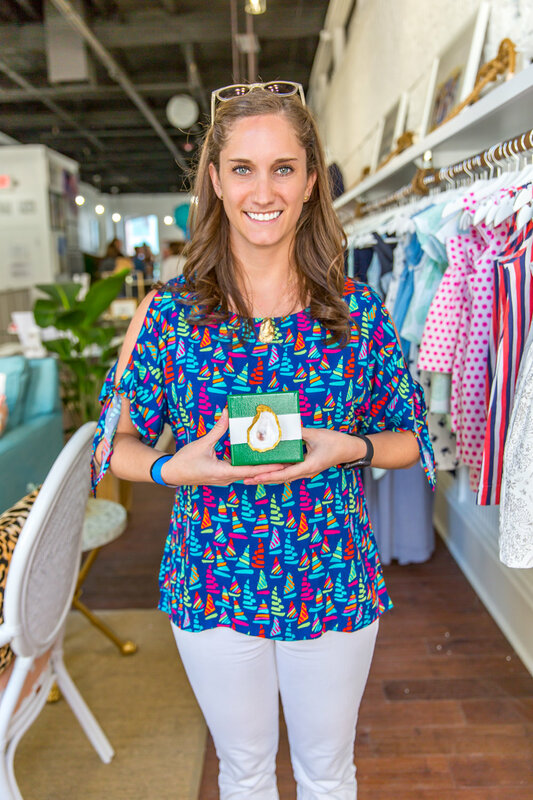 We asked Kelley of Coastal Kelder to share some of her Charleston favorites and a little bit about herself, so have a gander and stay tuned for more of our meet the maker series! Tell us a Fun Fact About Yourself! I work in software development full time at Booz Allen Hamilton (previously SPARC) and I run my Coastal Kelder business at night & on weekends. I enjoy making things as a way to unwind after staring at a computer all day and love that you have something tangible that you made afterwards. You can read about the unusual journey of how I got to where I am today here. What's your favorite Charleston restaurant? Obstinate Daughter is my true favorite, but I can never say no to HomeTeam wings & a game changer. Share another local maker you love. Kristen @ Charleston Candle Co. We have similar backgrounds with our day jobs & side businesses and her candles just smell so good! What's your favorite song to jam to while you're making? 2000's rap music (TI King is my fav album) or else I watch Elf or The Grinch on repeat in December. What's your current favorite product you offer? My oyster shell dishes were where it all began for me, but I'm currently loving my oyster napkin rings! I just like finding different ways to use oyster shells and incorporate them into our home and others' homes. Follow Kelly on Instagram and shop her site here, or come see her awesome selection of pillows, wine glasses, and ornaments in our shop!